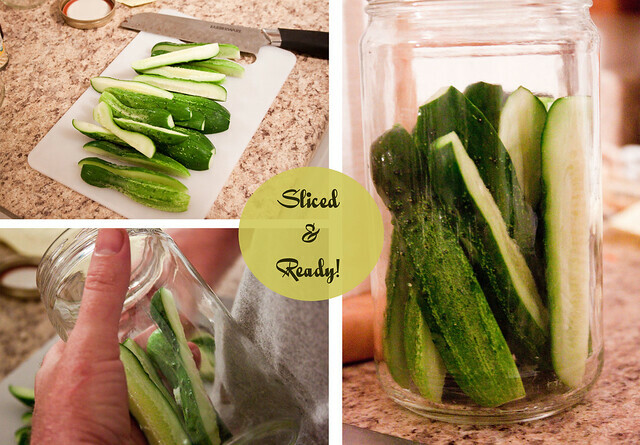 Now that we are starting to harvest cucumbers we are turning to pickling them. I’ve made a recipe of my grandmother’s before, my mom’s mom, and I love it. 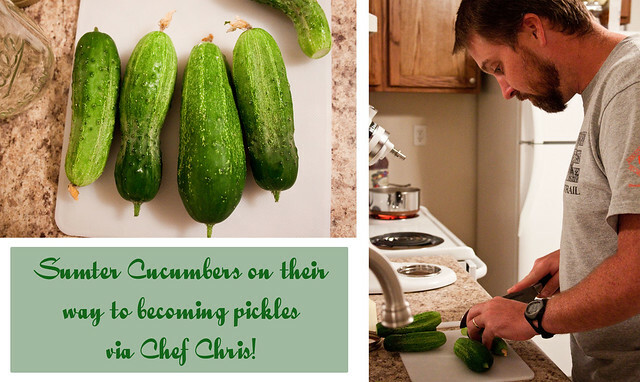 Chris is branching out and trying some other recipes. The one in the photos below are a type of Claussen apparently. I didn’t take photos but I made two jars from a recipe of my other grandmother, my dad’s mom, that I found amidst fluttering sheets of paper tucked into an old, red Betty Crocker cookbook. Chris’ birthday was last week so I made him his favorite cake, carrot cake. 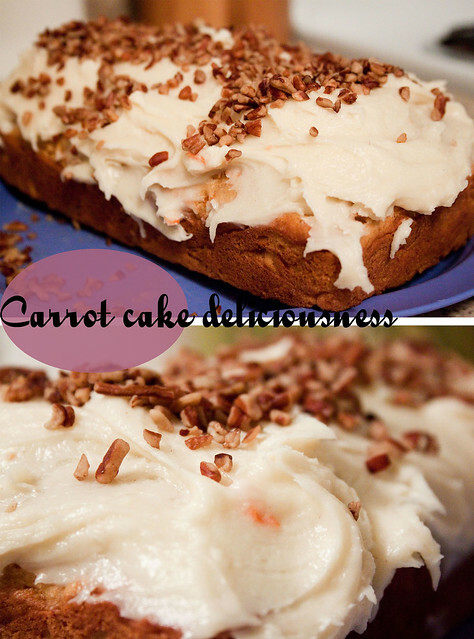 Honestly I do not like carrot cake but this recipe was pretty good. One reason I turn my nose up to it is the calorie and fat count on commercial cakes. They are atrociously bad for you. I mean, cake in general isn’t great, but it seems like carrot cakes are even worse. 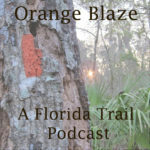 I found a lighter version and really enjoyed it. Particularly the icing. I like cream cheese icing. 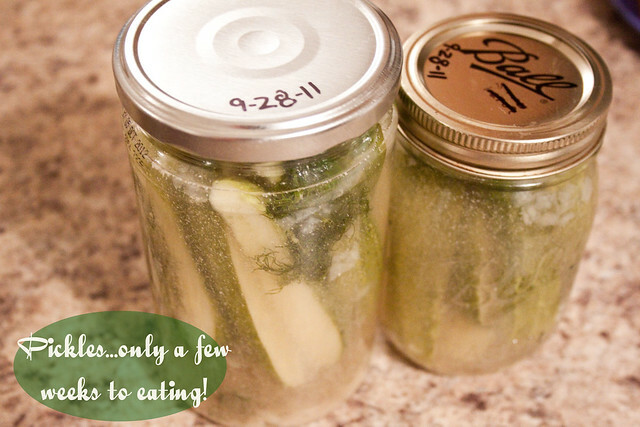 Can’t wait to eat lots of pickles in a few weeks! One of my favorite foods! Pickle popcorn, pickle salt, ooh, I have pickle popsicles in the freezer I need to try! Found those at Wal-mart a few weeks ago. Oh yumyumyumyum!! My six cucumber plants are growing, growing, growing! So excited for fresh cucumbers from the garden again! I never knew carrot cakes were notoriously worse for you! Maybe that’s why they are so insanely delicious. It must be the cream cheese frosting though… gets me everytime. It looks like it came out awesome!